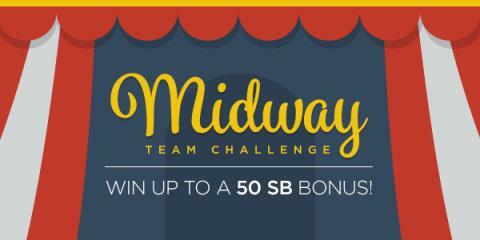 Starting Monday, September 12th, Swagbucks invites you to participate in their Midway Team Challenge. Pre-registration starts today! If you've never used Swagbucks before, it's a site where you can earn cash back on everyday tasks you do online. Now is a great time to join, especially if you participate in the Team Challenge because it's an opportunity to win an extra bonus for trying out the site. The challenge lasts until September 16th so log on or make a free account! Pre-registration is open now!